The Stay Express Inn is great if you’re planning to go to the Texas State Fair at Fair Park, only seven minutes away. Or if you are planning a getaway in Dallas, you’ll be conveniently close to downtown and all its attractions, like the Historic West End, Dealey Plaza, Deep Ellum and more. The Dallas Arboretum and White Rock Lake are a short drive away as well. 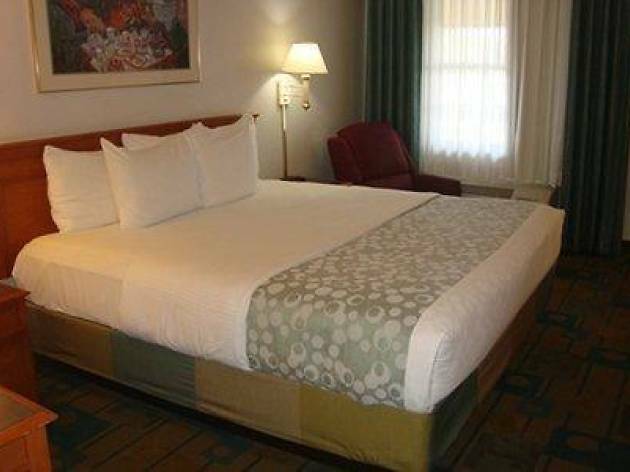 The guestrooms include a coffee maker, microwave, cable TV, pillow top mattresses, a desk and free Wi-Fi. 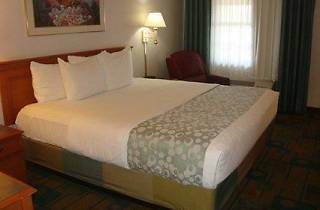 Smoking and non-smoking rooms are available, as well as family rooms with three double beds. There are special rates for members of the military, government, and AAA. The amenities offered by the hotel include free parking for cars and trucks, free breakfast, 24-hour front desk, and BBQ facilities. There is a restaurant on site, and tea and coffee are available all day in the lobby. Fax and photocopying, and laundry services carry an additional charge. The hotel has a no pet policy.